Catholicgauze has an excellent and informative post on the merchants of Iraq. From comment greetings like “Hello my friend!” “Yes, yes, yes,” and, “Please come in,” Catholicgauze continues to describe merchants from the common Iraqi, traveling merchants, high-tech DVD hackers of the computer era, and high-margin Turks. Read the whole thing, and also check out a related photo series from Getty Images. 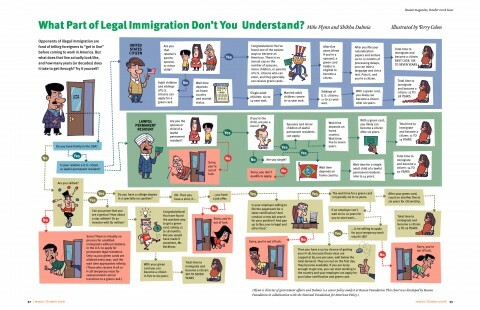 We need comprehensive immigration reform to fix this confusing and inefficient system. Obama should propose switching to a “point” system where the ability to immigration is increased by family relations, skills, education, work-experience, money to invest, and so on.